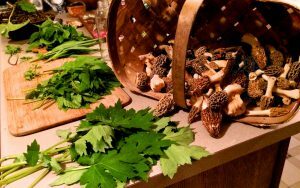 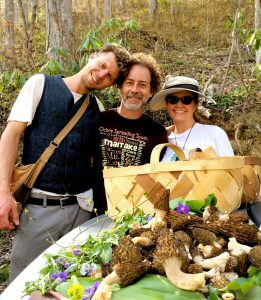 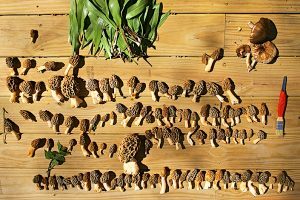 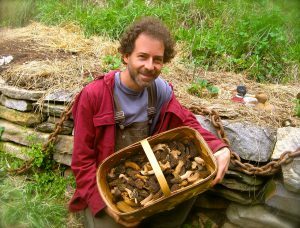 This seasonal tour is led by Alan Muskat, our CEO, at his one and only secret morel and ramp spot. 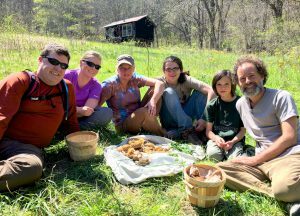 This secluded cove is located 30 minutes from downtown Asheville, in a 350-acre property held in conservation easement in perpetuity and surrounded by thousands more acres of protected land, including one of the five largest private landholdings in the county. 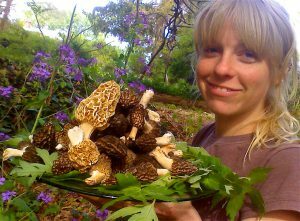 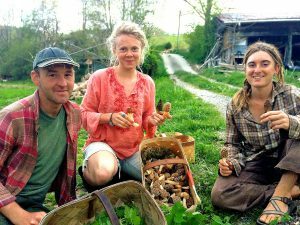 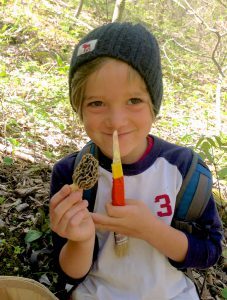 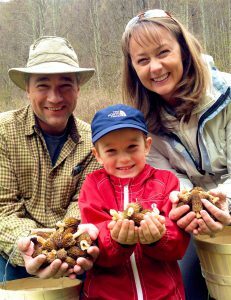 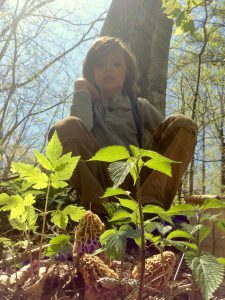 For the past nine years, we have found anywhere from ten to over one hundred morels on nearly every visit. 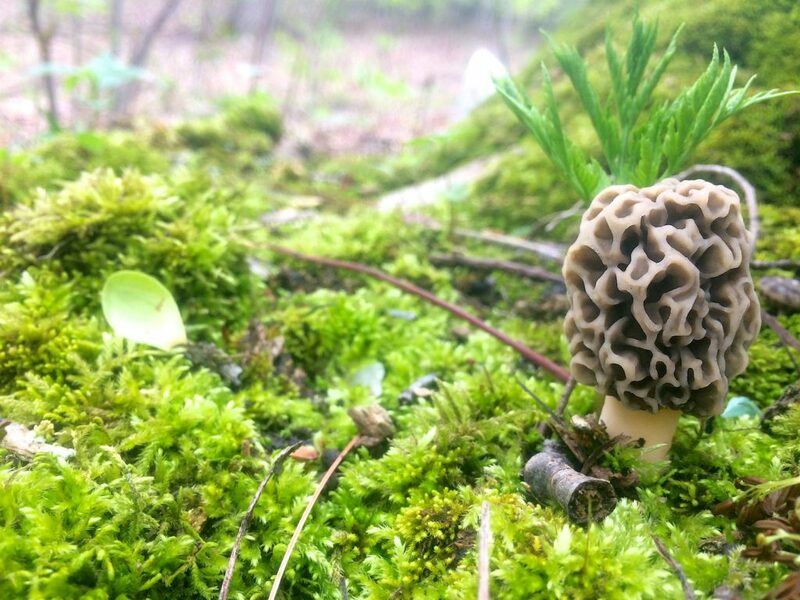 Although finding just one morel is special enough, we can never guarantee finding even that. 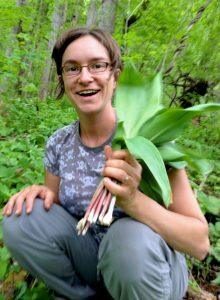 Fortunately, there are always ramps and at least thirty other edibles to experience. 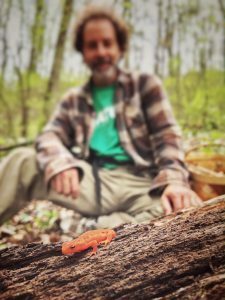 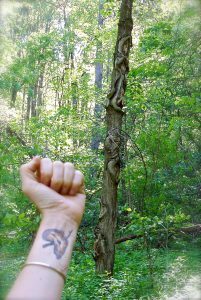 Local field biologist Josh Kelly asserts that this property, abounding in trillium, larkspur, bloodroot, bellwort, wild ginger, wild turkey, bobcat, and coyote, is some of the richest he has seen anywhere in the region. 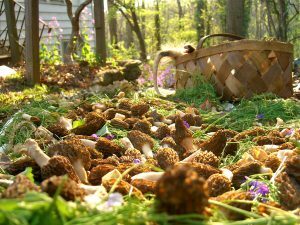 Archeological evidence suggests that the pre-Cherokee indigenous people of the area (c. 1200 AD) chose as their summer grounds this very cove. 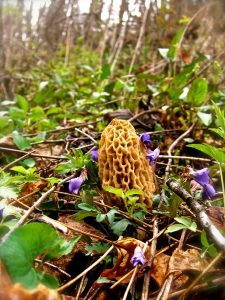 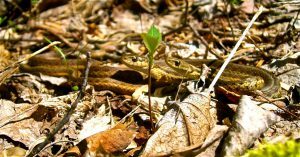 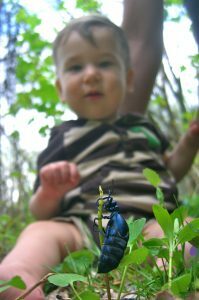 Participants are asked to watch their step lest they tread on one of several rare orchids, ginseng, morels, or snakes, and to take no more than a dozen morel per person so that there are some left for others. 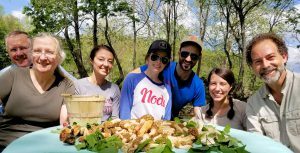 Participants will not be blindfolded on the approach, but those who attempt to return on their own risk getting lost, prosecuted, eaten by bears, or shot. 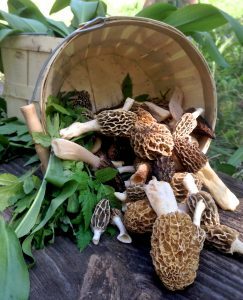 Those who return unscathed can enjoy their catch of the day the following evening at one of Asheville’s top restaurants.